This big Wisconsin 10 pointer was shot in Shawano County, Wisconsin by Clint Schroeder. 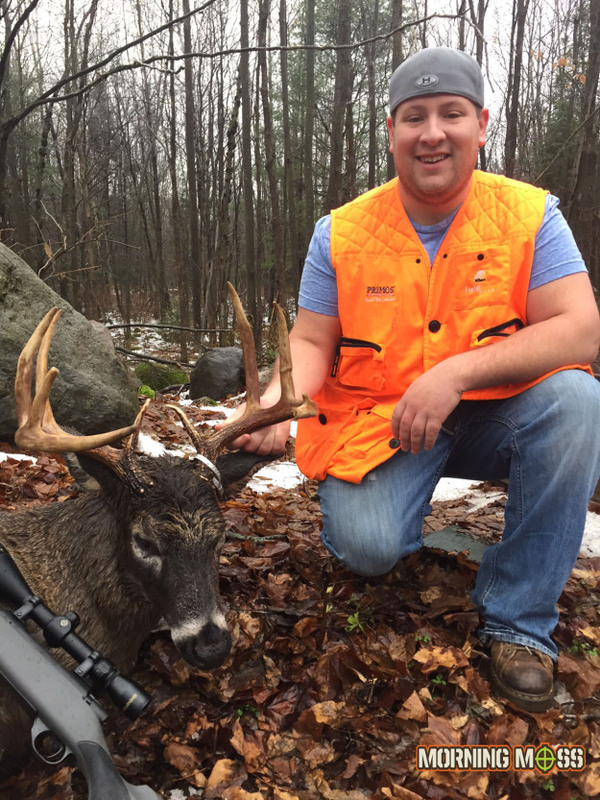 This big Wisconsin 10 pointer was shot in Birnamwood, Wisconsin on Saturday afternoon of the opening day of the Wisconsin gun hunt. This big boy had a 17 inch spread and was shot at 60 yards. Clint Schroeder is the lucky hunter who put down this nice buck. Congratulations Clint on a great deer! This deer was actually shot on the same land as another user submission that we got last week, Ty Steenbock. These guys must have had a hell of a weekend! Congratulations Clint on this big 10. Send in your big buck photos and check out more hunting photos sent in by readers.